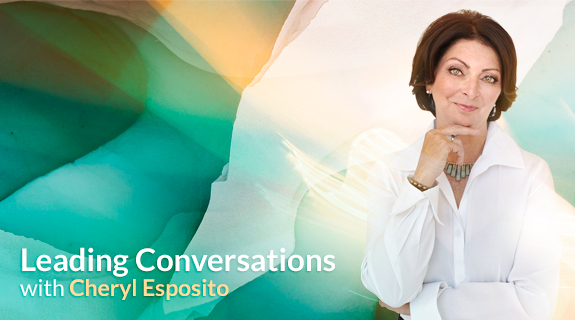 Cheryl Esposito welcomes Arjuna Ardagh writer, public speaker & executive coach, who has trained more than 2000 coaches around the world toward awakening the unique gifts in every person. Ardagh’s latest book, Radical Brilliance teaches us how & why people have original ideas which change the world. He has interviewed some of the most brilliant people alive today, written nine books, spoken from platforms such as the United Nations. Arjuna is dedicated to a world of collective brilliance. Start with “Who am I?” Sounds like a simple question. Arjuna Ardagh says if we are willing to deepen this inquiry, it can be transformational. It is THE question that moves us beyond the story of “me and my life” to expanded possibilities of contribution, connection and awakening – the foundation of our own Radical Brilliance. Ready to change your life or change the world? Join Cheryl Esposito & Arjuna Ardagh and dare to believe in your own Radical Brilliance.